PLANT SMILES... Kindness Garden Sign For Gypsy Fairy Gardens. 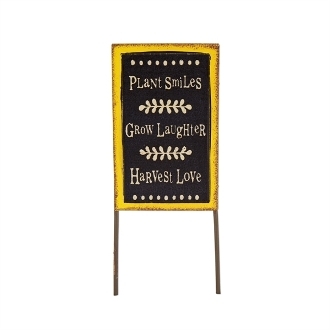 Full Description: This inspirational yellow sign reads "Plant Smiles; Grow Laughter; Harvest Love." Features all-weather paint. Made of metal.